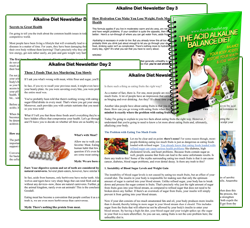 Many people are lured with the superficial presentation of food without bothering to know if this can contribute some benefits from their health. There are also health conscious people who are opted to eat the food which is best for them, regardless of what it looks and tastes like. 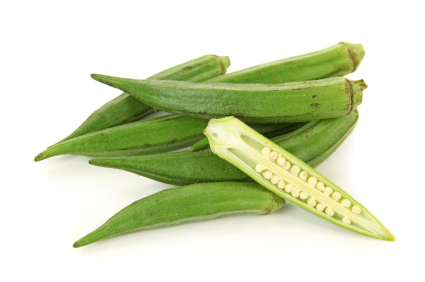 The green slimy soft-stemmed texture, elongated lantern pods with double row of seeds, and known to its popular name, okra or lady finger, has been well-accepted in diet arena due to its high alkalinity compound that helps the body to alkalinize in so many ways. 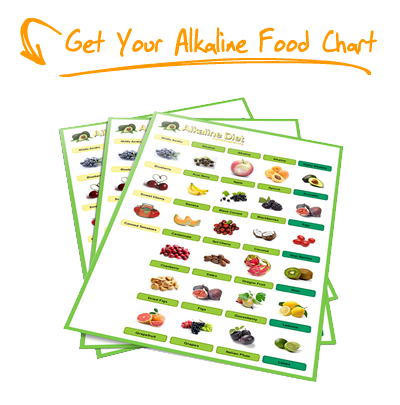 Let us remember that alkaline foods are important to be part of our daily diet because over acidification of the body can lead to underlying cause of various diseases, especially when the alkaline-acid ratio of our body drops to 3-1. Okra has no harmful effects to the body if moderately eaten, fat-free, non-toxic, and non-habit forming. The Okra has been cultivated and grown in warm regions for over centuries already. There are claims that it was originated in Ethiopia and widely spread and grown in countries such as Africa, India, Eastern Mediterranean, North and South America, and through Caribbean, and one of the essential garden vegetable in the southern states. Okra grows best in fertile and well-drained soils which maintain the soil ph because it grows in soils which are slightly acidic to slightly alkaline. It can tolerate the heat of warm weather. The immature pod of okra plant is considered the edible part with a size of 3-5 inches long. One serving of okra accumulates 25 calories. It is worth remembering, to limit the consumption per serving. Any excess or too much of everything in usual diet can be bad also for health. Okra is much better to serve when half-cooked to maintain nutrients and enzymes. A simple way in preparing okra meal is by boiling into 10 minutes in water until it becomes tender and ready to serve. Some people find it more sumptuous with tomatoes. Some are adding okra in their fresh green salads. If some people do not like the sliminess of okra, they can stir-fried, or cook it with citrus, or vinegar. Okra powder or pounded leaves is sometimes added to broths and soups as it contains sodium compound. How Okra Helps to Alkalize the Body? Okra counteracts many illnesses as the effect of too much acid food intake. Considered as high alkaline food, okra is a storehouse of many vitamins such as Vitamin A, B6, B9, C, fiber and folic acid. Furthermore, okra is great source of potassium, magnesium, and calcium. The high content in sodium helps to replenish the sodium deficiency. Furthermore, another healthy properties of okra is the high polysaccharide (complex carbohydrate made up of sugar molecules), that can be found in pods, this cause the highly sticky solution with slimy appearance. The Vitamin C of okra, as known to its powerful antioxidant can restrain the development of asthma symptoms. Study shows, on the result of taking ½ cup of cooked okra with 13 mg of vitamin C by young children with asthma experience, has significant changes on them by reducing the wheezing or panting as the cause of their asthma attack. Likewise, the benefit of Vitamin C can also strengthen the structure of capillaries. The high soluble and insoluble fiber found in okra can stabilizes blood sugar, binds cholesterol and bile acid responsible in carrying toxins by the filtering liver which we need to eliminate. The fiber works to absorb water and improves the constipation for easy passage of waste from our body. It protects the intestinal tract with its fiber compound and feeds good bacteria. The 50% soluble fiber of lady finger can effectively reduce the risk of heart attack and the other 50% of the benefits of okra decreases the risk of any type of cancer. A testimonial from a person, who has been suffering from constipation for over 20 years, was eventually cured by eating 6 pieces of okra regularly. Not only that, the mucilaginous material in the pod linked to the dramatic change on the cholesterol level and his blood sugar which drops from 135 to 98 by adding okra to his healthy diet. Another testimonial from people suffering from ulcer, the alkaline ph of okra helps them treat their problem in digestive tract. It is proven that okra, being very alkaline food; is used to cure an ulcer that ensures protection in digestive tract. As the result of one survey which took over 3 years, medical researches gathered information from 400 people and half of the population are suffering from multiple sclerosis. Healthy vegetables, together with the consumption of fruit juices rich in Vitamin C, riboflavin, calcium, thiamine, and potassium (take note that Okra almost contain all these vitamins and minerals), has correlated with the decrease on the risk of MS or multiple sclerosis. On the other hand, okra is also ultimate vegetable for people feeling exhausted and suffering from depression as it is popular for stimulating the nervous system. An experimental blood plasma replacement with the use of Okra has been tried in India, which I hope, sooner or later, with further researches; the medicinal properties of okra will find a niche in alternative medicine and cure for this type of ailment. Our daily calories intake must include healthy foods in the presence of enough alkaline reserves, like okra, to sustain the proper balanced chemistry of our body. 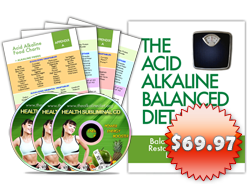 It is imperative to know what nutrients, vitamins, and minerals we can get from a certain food. Otherwise, we may suffer the consequences of not knowing which are beneficial to our well-being and which health claims of manufacturers from their foods and products are true and superficial. OKRA really helps reduce the blood sugar level. It is also beneficial for constipation.